The 2018 Zhuhai Design Week kicked off at Zhuhai International Convention & Exhibition Center in Zhuhai. 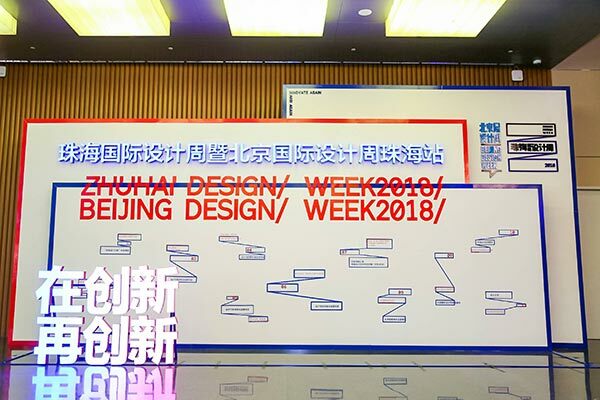 The 2018 Zhuhai Design Week kicked off at Zhuhai International Convention & Exhibition Center in Zhuhai, Guangdong province, on Oct 25, attracting more than 300 designers. As the first stop of 2018 Beijing Design Week national tour, Zhuhai Design Week is the first design week in Zhuhai, bringing together design elites from Beijing, Guangdong, Hong Kong, and Macao. Zhu Qingqiao, vice-mayor of Zhuhai, said the city hopes to attract more high-level design sources to accelerate the building of a cultural and creative industries platform. Zhuhai Design Consensus was announced at the opening ceremony, proposing to awaken the subject consciousness of designers, and form the basic rule of designers. Zhuhai Design Week also features an exhibition on the reform and opening-up, and Danish Copenhagen lifestyle exhibition themed Living is Giving.